Pursuing a truck driving career in Missouri can be very exciting. 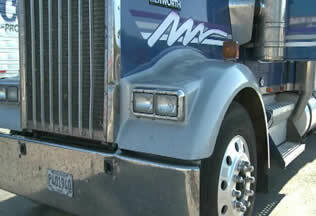 According to the BLS, the average salary of truck drivers in this state is around $38,180. They estimate that there would be a 21% increase in job demand by 2020, which is higher than most occupations. All you need to start your truck driving career is a CDL. After passing the knowledge exam, an applicant can now proceed and take the skills tests. Applicants who pass the knowledge tests will also be given a learner’s permit which will allow them to drive commercialized vehicles while under supervision. It is highly advised that applicants get enough practical experience in driving before taking the skills test. The skills test consists of a pre-trip inspection, vehicle handling, and actual on-road skills test. Applicants must pass all parts to get a CDL in Missouri. You can use our contact form located here to submit additional truck driving schools to be added to this page. All submissions must include the name, full address and phone details to be considered for inclusion. For those who are seeking to work as truck drivers in Missouri, the first thing that they should acquire is a Missouri CDL. This commercial drivers license will provide them with the eligibility to work as truck drivers either intrastate only or interstate. The federal government has issued newer regulations towards getting a commercial driver’s license which is why you must understand the new requirements into getting one. 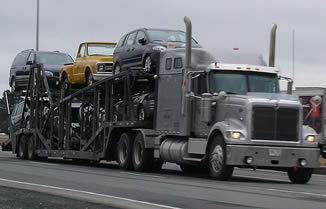 There are now certain qualifications and limitations as to the types of drivers who will be allowed to drive trucks. If you are living in Missouri, you will need to visit the Missouri Department of Revenue in order to apply for a truck driving license. They are the government agency which provides both the written and the skills exam which has to be passed in order to acquire a license. Before you head out to their office, try to study the Missouri Driver Guide and Missouri CDL Manual first. These reading materials contain the information that you need in order to pass the written exam successfully. It also contains the specific areas on which you will be tested on the actual driving test. In order to apply for the CDL, you will first need to have a current driver’s license, a DOT medical certification, visual exam, proof of citizenship or legitimate residency, social security number, and valid IDs showing your birthdate, photo, and signature. If you are seeking a hazmat endorsement, you will also need to present your TSA certification and background check. After submitting these documents, you will then proceed to the written exam, where you will be tested on different aspects of driving. You have to pass this test before you can be given a permit. The permit will allow you to practice driving an actual commercial truck as preparation for the driving test. The CDL permit is only valid for a few months so you have to make sure that you make most of that time learning all you can about truck driving. You have to do this only when you are accompanied by an individual who has a valid license as well. When you feel that you are ready to take the actual driving exam, you will need to schedule it first by visiting a local office of the Missouri State Highway Patrol. You should bring your permit, proof of residence, and proof of citizenship or legitimate residency in the state. The driving test includes a pre-trip inspection, basic skills, and road test to make sure that you are fully capable of handling truck driving. You will need to pass all of these tests in order to gain a Missouri CDL. If you pass the test, you will then proceed to paying the fees, $22.50 for a 3-year license and $45 for a 6-year license. You will have to pay for additional endorsements especially for an endorsement in hazardous materials. The license is valid for the said number of years but you will have to renew your DOT medical certification every 2 years. If you are needing to learn the skills necessary to drive a commercial vehicle, you can visit this page for the latest truck driving schools in MO. Below you will find the state’s official website for information about receiving your CDL, as well as a guide that will help you learn the requirements.